Imogene P. Barton, 86, of Wabash, passed away at 10:40 a.m. on Tuesday, Nov. 14, 2017 at her home. She was born on Dec. 20, 1930 in Lagro Township to the late Estel and Jennie (Cross) Kulb. Imogene married Gene H. Barton on Oct. 2, 1949; he passed away on Feb. 7, 2002. She was self-employed and retired. Imogene was actively involved working with senior citizens and attended the Winchester Senior Center; she even started her own euchre club in 2014. 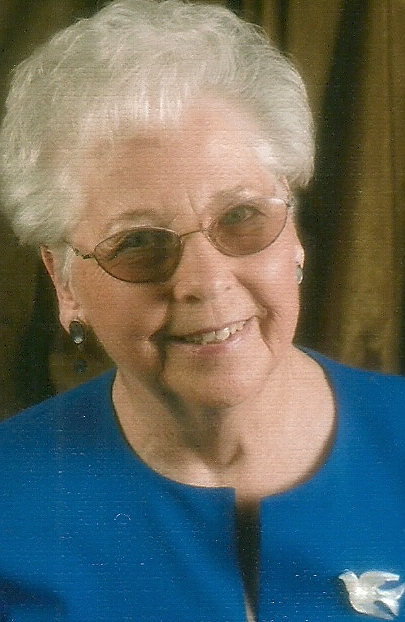 She attended the Christ United Methodist Church and was a member of the Lincolnville United Methodist Church. Imogene was a friend to everyone and was always there to help anyone in need and loved Jesus. Imogene is survived by sons, Dan (Charlene) Barton, Lagro; Douglas (Donna) Barton, LaFontaine; and James (Cheryl) Barton, Lincolnville; nine grandchildren and twenty-three great grandchildren. Along with her parents and husband, she is preceded in death by two brothers and three sisters. Funeral Services will be held at 10:30 a.m., Friday, Nov. 17 at McDonald Funeral Home, LaFontaine Chapel, 104 South Main Street, LaFontaine, IN 46940 with Reverend Robert Barton officiating. Calling hours will be from 4-8 p.m. on Thursday, Nov. 16 at the funeral home. Burial will follow at Center Grove Cemetery, Wabash. Preferred memorial donations may be directed to FISH of Wabash County and the Access Youth Center of Wabash.